It’s finally spring, and we’re loving the colorful and fun images in our Pinterest feed. 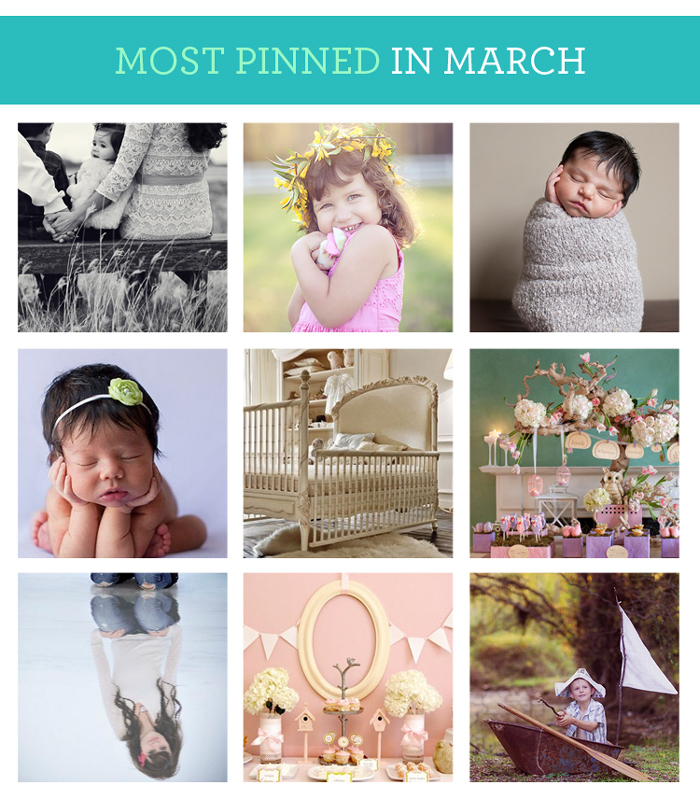 Take a look at the content and images you loved most in March! Original sources: Styling a Session with Fun Props | Happy Fridays Baby Shower Themes | 2011 July Competition Award Winning Image Gallery | Baby Shower Sweet Tables | Newborn Safety Week | Spring and Easter Sessions | Sunset Session Share! October Inspired Magazine: Featuring Second Half 2017 Image Competition Winners!